Saturday, March 12th is Plant a Flower Day, which offers a way to give back to Nature who provides us with such incredible beauty. This is a good way to get involved in community gardens located throughout Atlanta or even to start your own. Of course, you can also plant a flower in your own garden or create a hanging planter for your apartment balcony or patio. Another great way to celebrate Plant a Flower Day is to gift yourself or someone special with flowers on that day. We’re a great source for the freshest flowers at a great price. 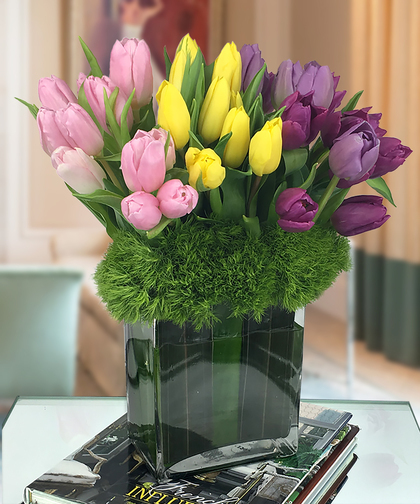 With spring flowers now available at our Atlanta flower shop, you can ring in the spring season that is just weeks away on Sunday, March 20th. One of our customers’ favorites is the tulip, which we have shipped from our tulip farm partners in Holland. We have many colors of tulips available, including red, purple, pink, yellow and white. One of the most beautiful colors we have to offer is the Tuscany Orange tulip, which is a bold and warm color sure to light up a room. 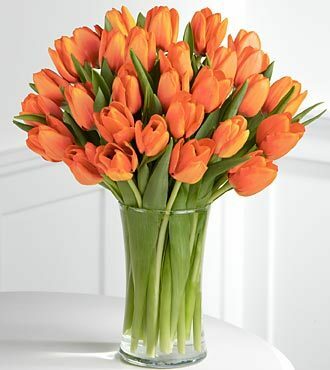 Chic Tulips includes 30 Holland tulips in a leaf-lined glass vase. The variety of colors creates a special display. 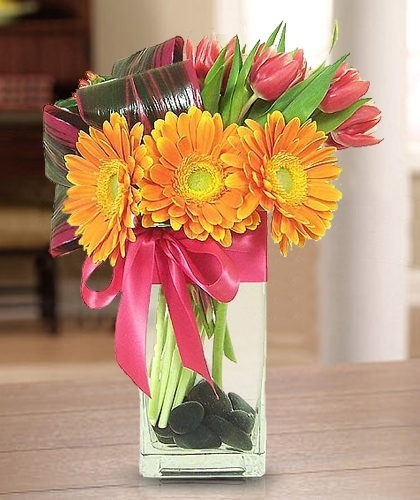 Dutch Tulips & California Daisies combines pastel gerbera daisies with boldly colored Holland tulips in this sweet flower arrangement. 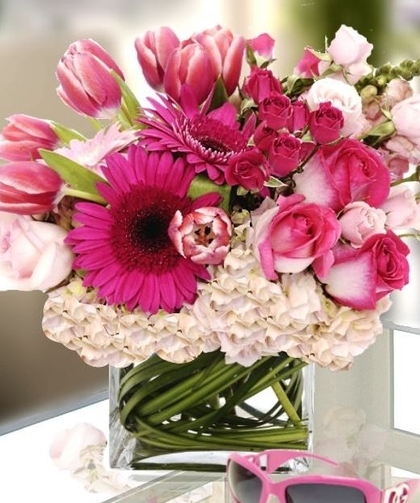 Pretty in Pink offers an array of flower varieties that includes tulips in a stunning pink hue. 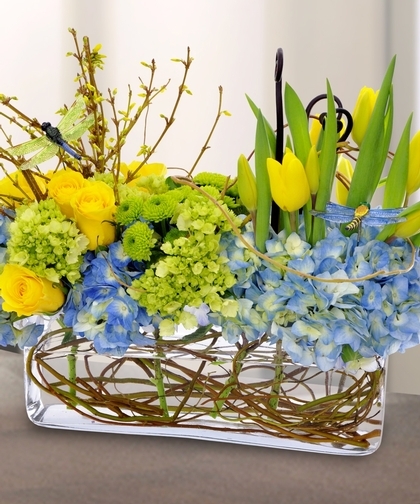 Springtime Blooms’ Centerpiece features tulips and garden flowers like garden roses and full-bloom hydrangea along with blooming branches in a rectangular glass vase. Call, visit, or order online today for this special day that celebrates Nature! We hand deliver throughout the Atlanta area as well as across the country. Voted “Best Florist” in Atlanta 14 Consecutive Years! True Romance Arrangement Perfect For Any Occasion!